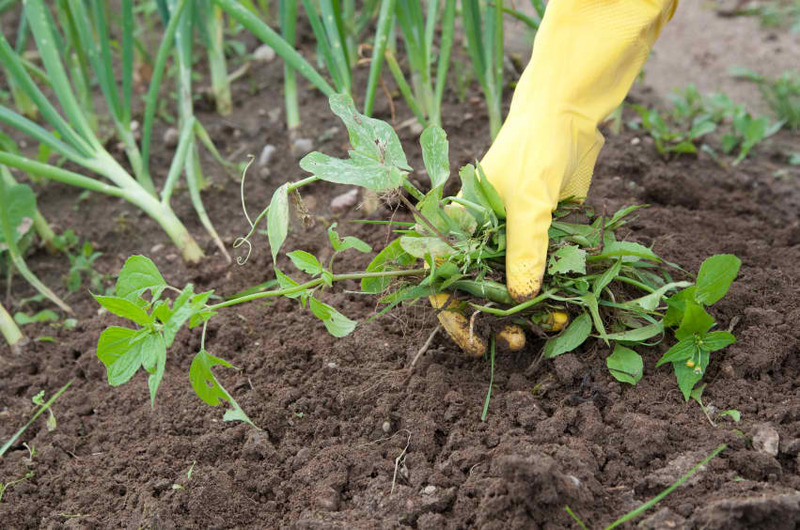 When gardens become overrun by weeds of otherwise unhealthy, either because you have been away or unable to do regular maintenance for a while, it might be necessary for some evasive action. If your garden bed looks sad, a little anemic or covered in spots it might be time for serious garden surgery. The first thing you will need to do is get rid of the weeds. Some serious hand-pulling is in order, and a weed puller for dandelions and other tap rooted weeds. It will take more than one session of weeding, but it will be worth the work. Do not let those weeds set root in your garden beds. You can help suppress weed growth by laying down a heavy layer of mulch over newspaper or cardboard. Now it is time to look for diseased plants, not just those that need a little extra love. Rip out, anything that is past saving, and might contaminate healthier plants. Prune back or thin out the plants and shrubs that need it. Good air circulation does a great deal in preventing disease. If there are overhead branches or nearby trees or shrubs that might interfere with the air flow, and trim those back as you feel possible or necessary. Treat any disease or pest problem that might remain, remembering to dispose of any diseased material properly, so that the problem does not spread. Weak, yellow plants will be the next item for your attention. They generally need some extra nutrients and attention. Therefore, work some compost or manure in around the base of the sad looking plant. Compost or manure tea, chicken manure, and liquid seaweed can also be used as tonics for these plants. Just remember that you can overdo nitrates, so start off with small amounts and see how well the plants respond to your efforts.